Dell is ready to launch a new data centre solution just below the hyperscale level that is scalable and gives service providers, web tech customers and telecommunications firms a solution unique enough to meet the most demanding of situations. The Dell Datacentre Scalable Solutions (DSS) is built on agile, scalable and repeatable processes honed and customized by Dell to the requirements of each customer, and it builds on Dell's success in the hyperscale market that kicked off eight years ago with the similarly named Data Centre Solutions (DCS). "Dell was the first major server vendor that recognised the unique requirements of the hyperscale market when it introduced DCS in 2007. They are now taking the best practices and learnings from their DCS business and addressing the distinct needs of the space just below the top tier hyper-scalers," said Matt Eastwood, Senior Vice President, IDC, commenting on the news. The segment just below the hyperscale sector that Dell is targeting with the solution is growing at an incredibly fast rate that is estimated at three times that of the traditional x86 server market and is thought to represent some $6 billion (around £3.81 billion, or AU$8.32 billion). For those confused, hyperscale is used to refer to computing that can be minutely scaled up or down depending on demand and can deal with huge workloads quickly and in a manner that is cost-effective. When it comes to data centres, they can have millions of virtual servers and handle huge increases in demand without requiring extra space, power or cooling. 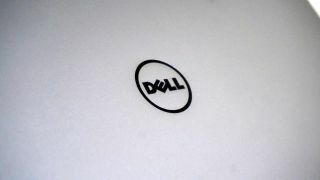 Dell has given a range of examples of how it has already used its expertise to provide solutions. A few examples include a global service provider that needed a solution that it couldn't get elsewhere, and an oil and gas customer that wanted to maximize performance but not use more energy. In addition to supply chain optimization and custom solutions, DSS is able to build new system designs for each market, and the plan is for the first DSS-stamped products to reach the market this autumn.